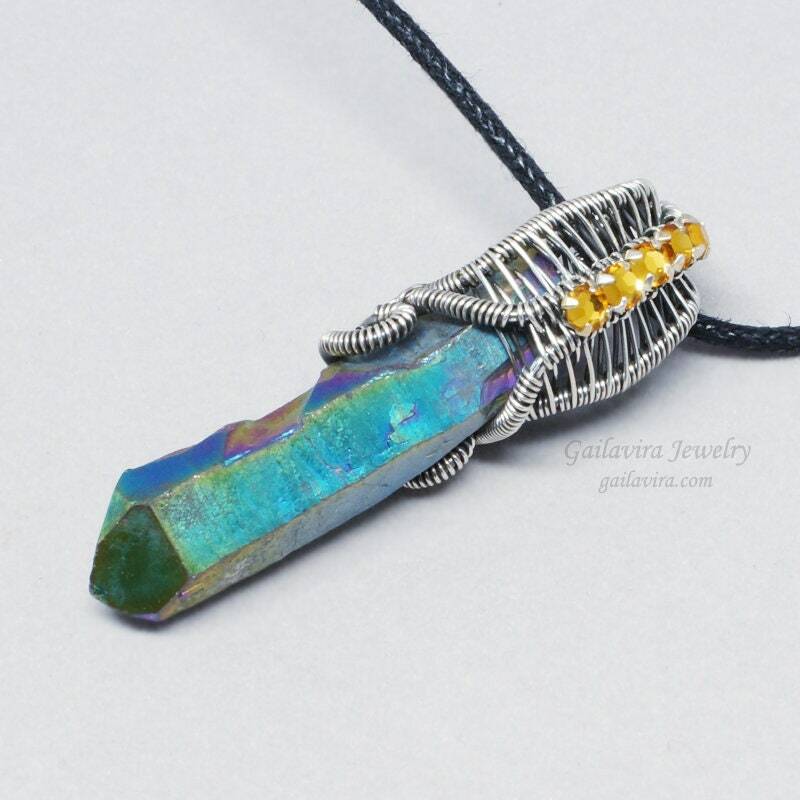 Woven sterling silver wire with bright yellow crystal accents tops a an irridescent Titanium Rainbow Quartz crystal point. 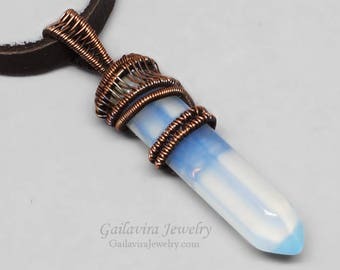 Pendant hangs on an adjustable cotton necklace. 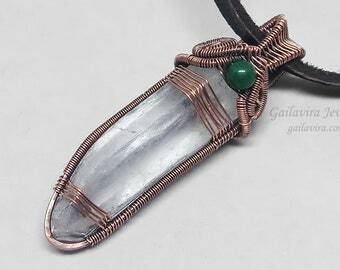 Pendant is approximately 1/2" (12mm) wide and 1 3 /4" (44mm) long. Necklace adjusts up to 30" (75cm) long. 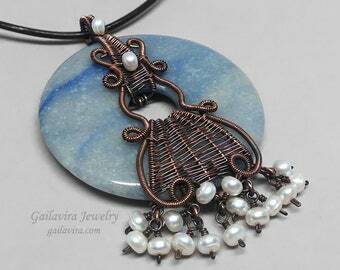 Necklace adjusts using sliding knots. 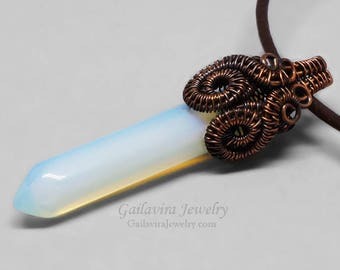 The stone used for this pendant has been dyed and otherwise treated to achieve the rainbow iridescent effect.